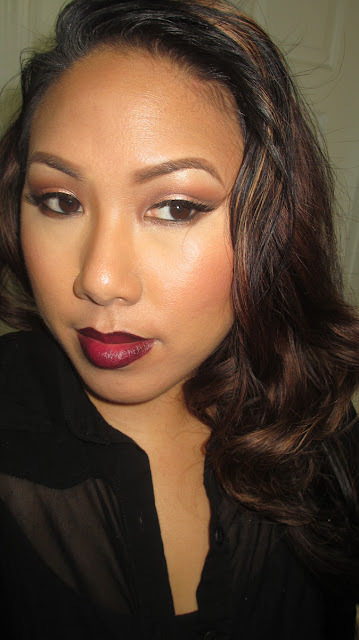 You might have noticed my recent obsession with deep, dark fall lippies. I absolutely love them this time of year. 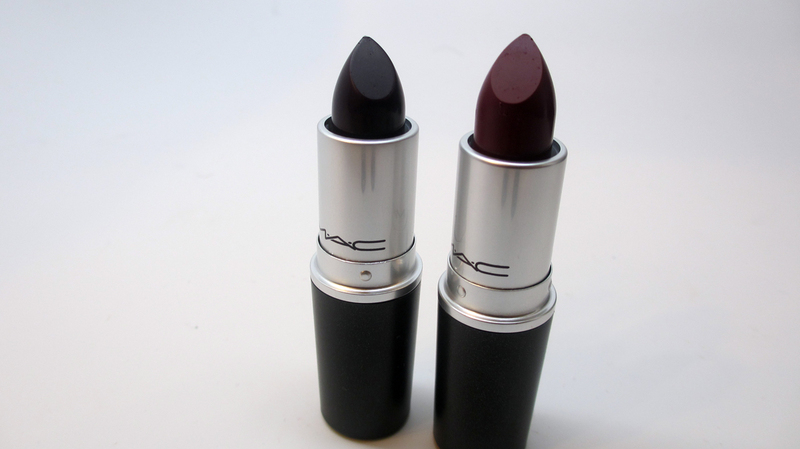 They just make you feel so glamorous and vampy. Today I want to show you two colors I picked up using MAC's Back to MAC Program. Yay for free lipsticks! For those of you who don't know, you can turn in 6 MAC Empty Containers and typically, you can get either a lipstick, lipglass and sometimes an eyeshadow from your local MAC counter. This includes any empty with plastic packaging - including retractable brow pencils, MAC Wipes and of course other empty lippies and face and eye compacts. 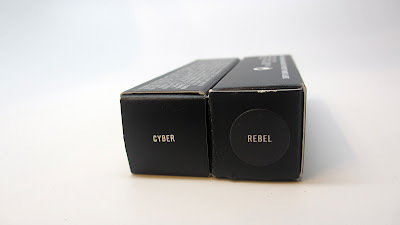 On a recent trip to MAC I picked up two classic lipsticks that I've been wanting for a really long time - Cyber and Rebel. Cyber is a deep purple and Rebel is a magenta plum which I've worn in a few posts/videos already. 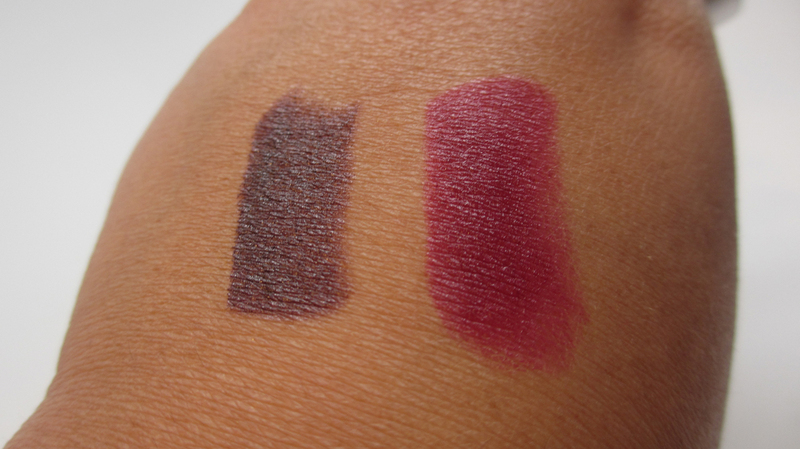 I think both look great with deep lip pencils such as MAC Vino, Nightmoth or Currant. I'm still struggling with how to wear MAC Cyber. It is very very dark on...lol...I like it but the BF definitely doesn't. LOL. Anyone have any suggestions to make it wearable? Let me know in the comments below! If you have any dupes for these lippies also let me and the readers know! I saw a picture the other day they had cyber and put violet pigment on top, came out really nice. I recently got a Cyber dupe, i keep staring at it wondering if i should use it or not. Definitely too dark for everyday, for me.